Home All Articles Is This It For Jenson Button? McLaren’s dilemma-filled season that is 2015 doesn’t look like it will be getting any easier, and moving in to the summer break the soap opera of whether Jenson Button will drive for them or not will be getting a sequel in September time. Kevin Magnussen was demoted from race driver – and podium winner, let’s not forget – to test/reserve driver. Rumour has it Ron Dennis was keen to keep Kevin in the seat, yet was outvoted by the rest of the McLaren board in favour of the 2009 world champion. The deal was signed and was reported to be for two seasons, but now information is emerging that it’s a one year contract with an option for McLaren to exercise for a second, which they will consider in the next few months. With any driver on the grid there are pros and cons of hiring them; Button has a reputation for excellent technical feedback, has enjoyed a great working relationship with Honda, has great feel in wet weather and is a world champion, but on the downside carries an expensive salary (reputedly £10m), his driving style works in a minimal operating window and will be 36 years old in 2016. Not that age should be a factor, obviously. People have won court cases losing their jobs over it. But Button is the same age now as when Damon Hill won his championship, and still has a few years on Nigel Mansell when he finally won his. But then, those were different times, and both were in the most dominant car on the grid at that time. But then arguably time is what will ultimately curtail Jenson’s McLaren-Honda career, not his performances. Fernando Alonso has always described McLaren’s rekindling of the Honda relationship as a “project”, alluding that success with happen later rather than sooner. That could be in three seasons time, in 2018, when the Spaniard will older than Jenson is now, and maybe even in this exact same position. That long term future of McLaren does rest in Kevin Magnussen and their other young driver Stoffel Vandoorne. Indeed, Vandoorne is currently leading the GP2 standings after 5 wins and 8 podiums in 10 races in 2015. That kind of form can’t be ignored. Do McLaren continue to place him in seats outside of F1, which could lead to him plateauing as a driver, or do they develop a chassis-engine relationship and build a name for the future at the same time? In the worst case scenario of Button leaving McLaren, then what next? Formula One might be out of the question, due to him not wanting to take a pay cut and the lack of teams that would be willing to pay him. Haas F1 come into the sport next season and would relish a driver of his technical capability, but would Jenson be up for another development challenge in the twilight of his career? 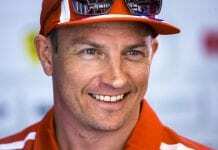 The other option would be joining pal Mark Webber in the WEC, perhaps with Toyota or Nissan, keeping the Japanese theme of his motorsport career – and his career itself – going. In addition, if this is the end of Button racing in general, both Sky and the BBC would be interested in bringing him into their coverage as a guest pundit. His affluence of charm would be the perfect addition to either. The sad thing is, if this is the end of Jenson’s tenure in Formula One, he deserves to have a decision before the season ends so an appropriate send-off can happen. Fans need to say goodbye to a long-serving hero of theirs, almost like a farewell tour of classic rock band, rather than see his career finish in the winter months without a grandstand full of flags in sight. And with it being Jenson Button, there’s a fair few who want to send him off in style. Previous articleIs The Porsche Supercup Undervalued?